Having never been much of a video game player, I have never been much into the games. However, I have learned to enjoy the Wii game as well as the Microsoft Kinect device that hooks to the Xbox 360. It really builds on the Wii as it works as a motion sensing device. It lets the user seem as if he or she is actually a part of the game. The game senses motion and also senses voice command and these can be used to control the different scenes. So what is all of the fuss now. It appears that Microsoft has finally announced that Kinect for Windows will launch on February 1. The pricing structure was not announced, however a pre-order page now appears in Amazon and it shows a pre-order price of $249.99. This is more than the version for the Xbox, but this version has a fancy camera that now has a 'near mode' function that will capture motion from users as close as 50 cm. It look like the machines must run the SDK software in order for the device to work. This will be determined in the weeks to come. The Kinect holds all types of sales records. It was the fastest selling consumer electronics device in history having sold 8 million devices in the first two months after it was launched. Not only did the players like this game, but it also got developers moving. It was hacked into shortly after it was launched. The hackers made it so that it would also work on a PC. It will operate on a Windows 7 box. So if you are interested in using Kinect on your PC or Windows box, then go ahead a pre-order your copy. It will be interesting to see how it actually operates on a PC. 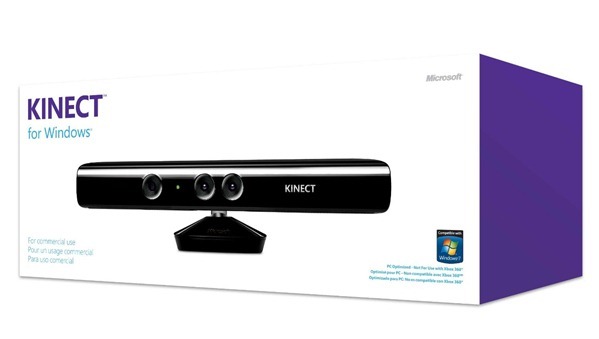 0 Respones to "Kinect for Windows - Coming February 1"